All-sources handle for the 10-race program of the first day of the 35th Breeders' Cup World Championships at Churchill Downs was $52,216,685, the fourth highest total for a Friday Breeders' Cup and the sixth time the total has exceeded $50 million. The Future Stars Friday card featured five Breeders' Cup races for 2-year-old horses for the first time since the event expanded to its current two-day format in 2007 and Breeders' Cup officials were encouraged by racing fans' reaction to the new format. 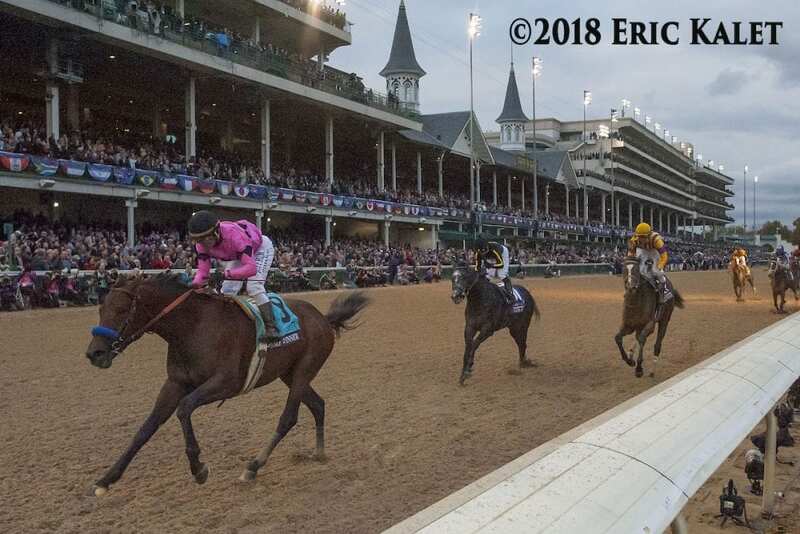 Friday's attendance was 42,249, a 29% increase over last year's event at Del Mar, where attendance was capped because of the size of the venue, and a 4% increase over 2011, the last time the event was held at Churchill Downs. Friday's on-track handle for the 10-race card was $7,251,466. This entry was posted in NL List, The Biz and tagged 2018 breeders' cup, Breeders' Cup, Breeders' Cup Business, breeders' cup future stars friday, churchill downs, craig fravel by Press Release. Bookmark the permalink.